Seitz are part of the mighty Dometic group and manufacture items for the caravan, motorhome & leisure industry. They are known for the quality and wide range of items they produce. Seitz are one of the leading manufacturers of windows and roof lights in the industry. They also make products like blind systems and safety nets. Some customers want as much light and air into their recreational vehicle as possible whereas others want to protect themselves from insects and too much sunlight. Obviously in the cooler months staying warm is important so thermal insulation needs to be thought of and we all want a little privacy at times. Seitz have made it possible for all situations to easily be catered for with little effort. The tilting roof windows, vent and sliding windows, insect screens and blind systems from Dometic Seitz have proved very popular when originally put into vehicles and customers also like to have them retrofitted. When you invest in quality Seitz Blinds you will be buying into intelligent design, future-orientated manufacture and high quality materials, guaranteeing long life. Look here, Seitz blinds to see which blinds would most suit your needs. Blinds come in many different designs for easy installation. The Seitz Dometic Rastrollo 3000 blind is the ideal solution for frameless windows. The Dometic Seitz Mini-double Cassette Roller Blind 1302 is a blind combined with flynet for optimum sunshade and shadow. Alternatively the Seitz Combination cassette roller blind 38 combines a fly screen and a roller blind all in one system. 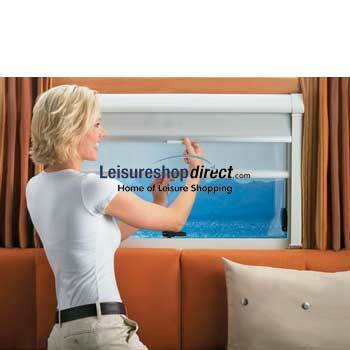 Seitz have designed many blinds to cater for all types of motorhomes and caravans. Even the most robust items can break or get damaged, so if you need any Seitz spares or Seitz parts then look here on Leisureshopdirect, Spare Parts for Dometic Seitz Blinds. Finger pulls for Seitz Blinds are easily replaced. 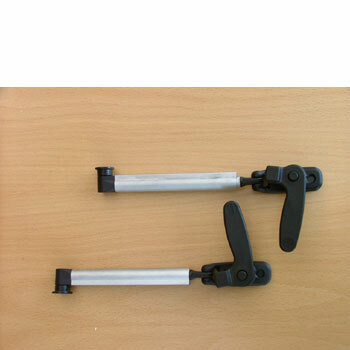 The Blind Clips which clip into the end of the blind are also available, along with many other Seitz parts. Not only can you get Seitz spares on Leisureshopdirect, but many other parts to ensure you caravan or motorhome is as comfortable as possible.